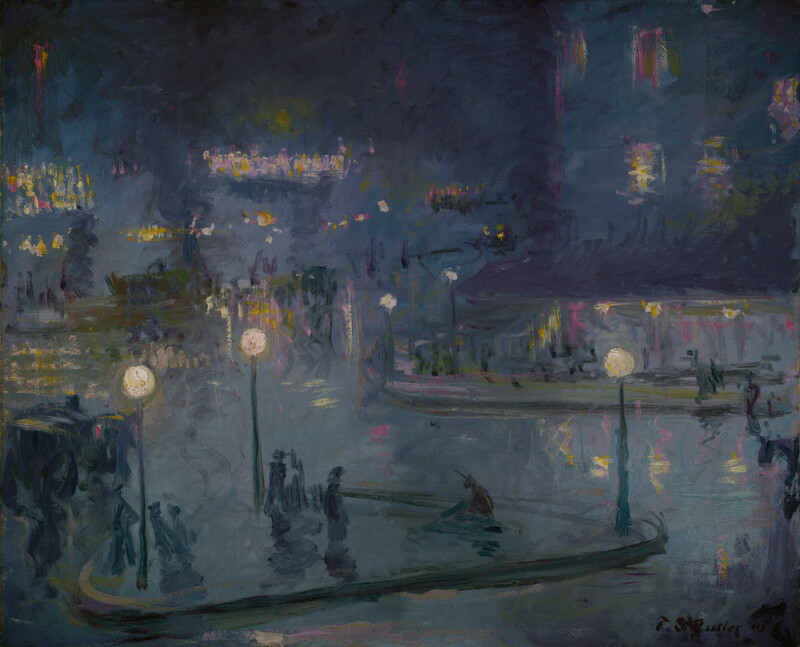 From the collection of the Terra Foundation for American Art, Theodore Butler’s Place de Rome at Night, Charles Courtney Curran’s Paris at Night, and Willard Metcalf’s Au café are exhibited in Electric Paris. This exhibition is on view at the Bruce Museum from May 14–September 4, 2016. For more information, please see: brucemuseum.org.